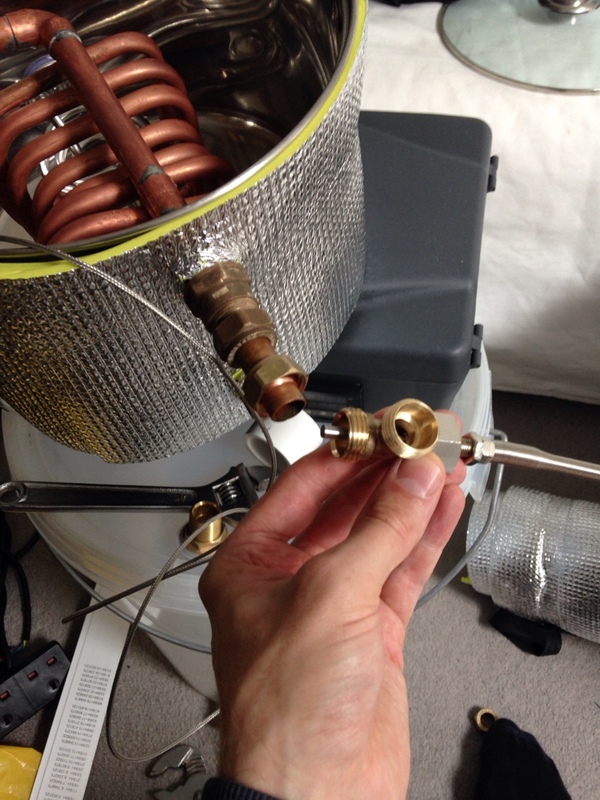 Just a quick photo, how I put together the temp sensor mounted in my outlet from the heat exchanger. Our sensor screws in to an m8 brass nut which is soldered in to a 15 to 10 mm reducer. The reducer is then soldered on to a 15mm T peice connected to the outflow from the Herm's. That's neat, I like that, I however don't solder plumbing, and felt a dismantle able one was easier to clean etc, plus the m8 part of the pt100 doesn't seal onto the sensor stem... Where did you get your pt100? That looks really smart Ockelford, and both solutions sound very elegant and professional. Will definitely be bearing them in mind with the new build! Did you have any bother with customs duty importing from the states Mark? There's loads I want to get from over there but I'm put off after buying a pre-programmed EEPROM from the states for £18 and then got stung at the post office for another £16 import duty! Would love to see your idea, mine has held for 4 brews so far, and works great. Just need more time to brew! I've bought two of those (possibly slightly cheaper than that but it was earlier in the year). Use one in a stainless steel T that I flow through* for Herms and one that screws into a fitting in the kettle. I only have one pid device and it's handy to unscrew the lead from one sensor to the other. I can leave the sensor in place without having to worry about the cable when taking things outside for cleaning etc. * it's too long to fit in the cross piece of the tee so has to go on an end and the wort has to flow round a corner. mark1964 wrote: Our sensor screws in to an m8 brass nut which is soldered in to a 15 to 10 mm reducer. The reducer is then soldered on to a 15mm T peice connected to the outflow from the Herm's. 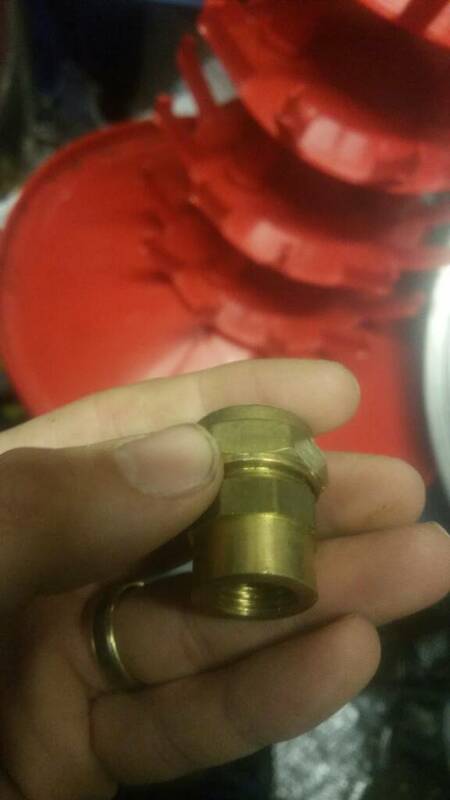 Is the brass nut turned down to allow it to fit into the reducer Mark.